It was so wonderful to get back to Marina Taina and to discover that EMILY GRACE had just arrived! We joined them for dinner at Casa Bianca and also ran into Bob and Sue from FUGUE as well. Since Tom had work to do on EMILY GRACE, Kim, Dave, Emil;y and I took the bus into Papeete on a quest to pick up my pearl necklace (which needed to be soldered shut) and to find an optician who could fix the broken arms on Emily's new glasses. (We had been in a few day's earlier with Bob and Sue and discovered a lovely spot for lunch- Odyssey, not far from the market.) After several false leads, we finally found a shop that could do the repair and then stopped at the market. 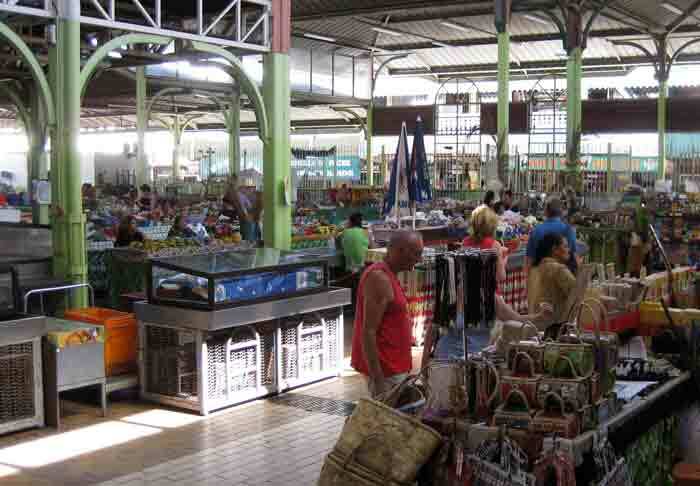 Unfortunately, it was closing for lunch and the fruit and vegetable and fish vendors had closed their stall, but here is a photo of the handicraft section of the building. The upstairs is mostly clothing, especially pareas. 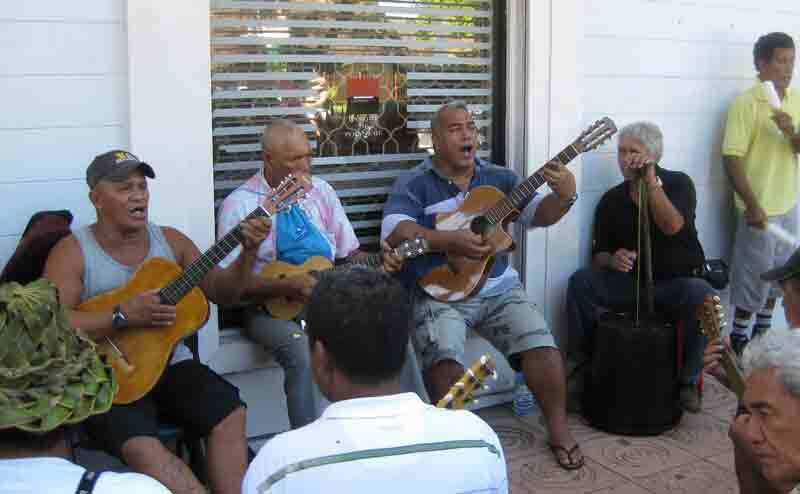 Out on the main street we stopped to listen to a "rap session" with local musicians. Back at the dock again we discovered John and Amanda Neal. They knew Gregg and Cindy, ANGEL's former owners. 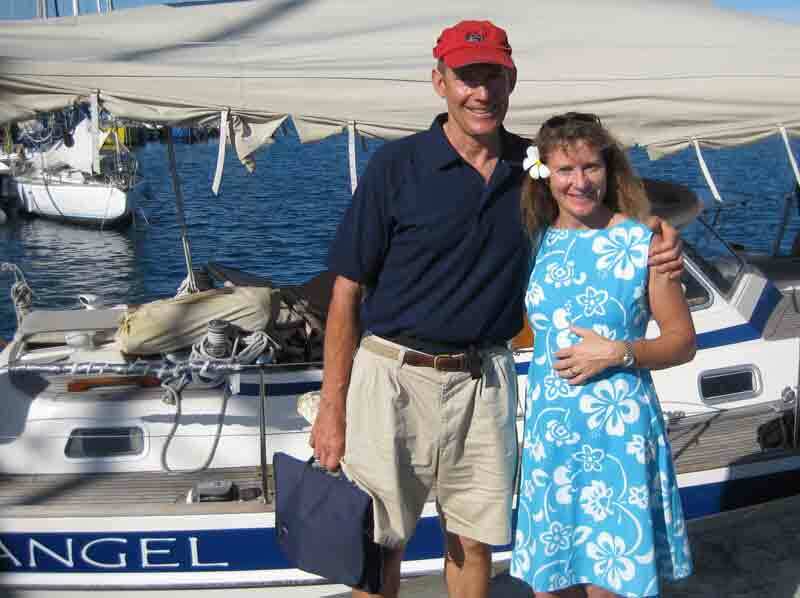 John was the consultant who recommended that we buy our wonderful boat! They were headed out with a group of charter people who were learning to sail aboard MAHINE TAINA. 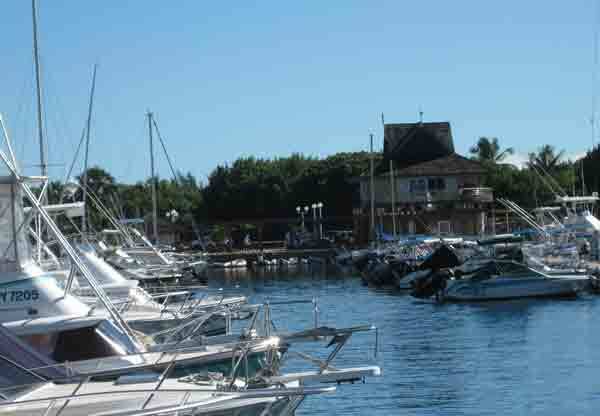 Marina Taina is a lovely marina with very friendly and helpful staff and a beautiful location. This is a view along the dock to the office. 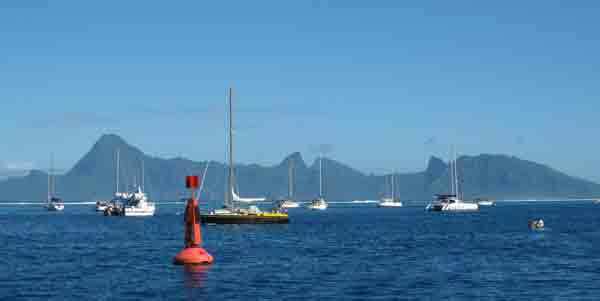 And this is a view from the dock of Moorea, tomorrow's destination.